The five-year, $500K award funds research to design sensor networks that combine energy harvesting communication ideas with “big data” ideas. Since 2012, Yang has been an assistant professor of electrical engineering at the University of Arkansas. 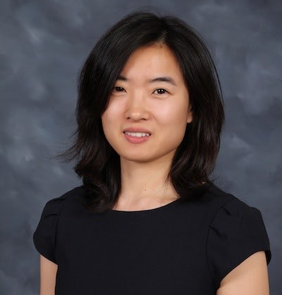 At Maryland, Yang was advised by Professor Sennur Ulukus (ECE/ISR), who notes, “Her Ph.D. thesis made some of the earliest contributions in energy harvesting communications.” Before joining Arkansas, Yang was a postdoctoral researcher with Robert Nowak at the University of Wisconsin-Madison, where she worked on statistical signal processing and machine learning. Yang will construct a new paradigm of sensing and transmission schemes in data-intensive energy harvesting wireless sensor networks that will intelligently utilize the random, non-uniform, and scarce harvested energy with analytically provable sensing, transmission and inference performance guarantees. She will use two different but closely coupled approaches—an energy-driven approach and a data-driven approach. For the energy-driven approach, Yang will exploit the statistics of the energy harvesting process to construct online sensing and transmission schemes. She will use objective-oriented, cooperative sensing scheduling policies to cope with the non-uniform energy supply in large-scale sensor networks, and delay-constrained data transmission schemes to meet the real-time latency requirement. In the data-driven approach, Yang will utilize the characteristics of underlying sensing phenomena to adaptively and strategically allocate scarce energy resources for collecting and transmitting the most important sensor data. Two specific tasks in this research thrust include a Gaussian process based framework to systematically utilize the spatial-temporal correlations in sensing fields, and adaptive sensing strategies that exploit the structured sparsity of underlying sensing signals, both under the stochastic energy constraints at sensors. The project promises to build intelligent energy harvesting wireless sensor networks with superb sensing, transmission and inference performances on a solid analytical foundation. The delay-constrained information theoretic analysis for energy harvesting communications will integrate a new set of analytical tools from renewal theory with tools in information theory, and create synergies between them. The data-driven adaptive sensing approach will develop synergies between stochastic queueing control and high-dimensional data analysis. The interdisciplinary nature of the research will allow Yang to utilize techniques from stochastic queueing control, renewal theory, information theory, machine learning, and is expected to advance the understanding of those areas.